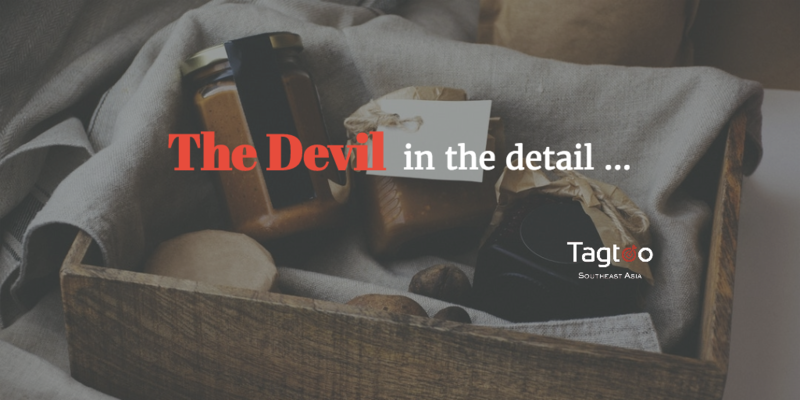 While subscription seems to be a lifesaver, the devil is in the detail. -- Tagtoo In the past, subscription e-commerce seems to be exclusive to a select few. Netflix and Amazon Prime, for instance, are the two of the most notable pioneers in this concept. Their backup of tons of resources accumulated in the past decades smoothly assisted in transitioning to this business model. The scenario, however, has changed dramatically nowadays with massive shifts in consumer behaviors and increasing maturity in e-commerce development. Subscription economy, all of a sudden, is becoming the future of e-commerce and is no longer an exclusive club. While there are some obvious and irresistible advantages of adopting the subscription model, there are also downsides and pitfalls when you look closely into the details. The subscription model is a great pricing structure for overall development on company growth. The benefit of foreseeable recurring revenue, better stock management, and predictable shipping cost all offers a strong power to maintain financial stability, not to mention the upfront payment on forward renewal is great for cash flow if you’re looking for future investors. But, that is a common pitfall if you are enticed to the subscription model simply due to the aforementioned benefit. Oftentimes, e-commerce retailers only focus on the metrics that have direct relation to revenue, such as the number of subscribers and the amount of money generated from each subscription. Nevertheless, none of them have significant insights on the long-term growth trajectory but the superficial representation of short-term surge in revenue only. To be more precise, the real metrics you should be looking into carefully are customer lifetime value (CLV) and churn rate since subscription model has certain purchase period and is highly correlated with the quality of subscribers. A great group of subscribers obviously has higher CLV and lower churn rate. In other words, how long customers are willing to stay subscribed is a lot more meaningful than the number of trial customers. Low entry barrier, in terms of product offering, is another advantage of adopting the subscription model. With products ranging from daily necessities to fresh produce, subscription-based e-commerce has been proven lucrative for a wide range of offerings. There is unlimited potential because there still new niches waiting to be discovered. Simply put, the idea can almost apply to any product of different kinds. But, under no circumstance does it mean every products category can work well with this model. Actually, considering the essence of product attribute is the key and avoid unnecessary mistakes. Product accessibility and exclusivity, for example, are two critical points. The former decides how much extent the product offerings fit the subscription model and the latter determines how customers would feel when receiving the products. A good balance of both will make the product more likely to become viable and successful. The massive emergence and closure of beauty box is the best case study. In terms of accessibility, since people can effortlessly reach a batch of free quality samples in any of cosmetic and drug stores nearby, It may seem unwise to pay extra money via the subscription route. In addition, in terms of , the cosmetics and skin care product in the beauty box is not unique at all. Unsurprisingly, most recipients of the beauty box don’t find it worthwhile nor special. Ultimately, it turned out most of them died off or were bought off. Combining the rising concept of owning outcomes rather than assets also help grow subscription model rapidly. Moreover, the use of credit card on the subscription model is a great power of facilitation as well because everyone is now happier and more comfortable to use credit cards online. You don’t have to place an order all the time— it just turns up. The redefinition of purchasing, with the introduction of subscription to e-commerce, greatly alleviates the burden of ownership and quickly strikes the current business landscape. It is especially true for millennials because they care more about experience and convenience. However, the water that bears the boat is the same that swallows it up. What makes subscription popular is exactly what makes it vulnerable. A viable subscription e-commerce is highly based on customer-centric strategy— in most practical case, giving customers the liberty and right to cancel anytime they would like to. In other words, this somehow makes it unfavorable for e-commerce business because much more effort and resources might be required to instill into customer relationship management as compared to the transactional economy. While some may claim they can maintain customer’s subscription by intentionally playing tricks on general terms of purchase or automatically extending the service without notification, all of them are extremely short-sighted and could become the sparking point that leads to the rapid collapse. The element of surprise and uniqueness is what keeps subscribers coming back. They are the cornerstone and the value proposition for the vast majority of subscription e-commerce. Although some common tactics often include handpicked selections and exclusive curations, what most subscription e-commerce business are trying to do, to be fair, is manifest the exclusiveness and elaborateness of their offerings and make subscribers feel being cared. On top of that, elaborate education and knowledge on the product is another driving factor, a great plus, to retain customers because most customers rely on professional guidance to understand the science and art behind the products. Besides, the learning process can make customer stay more engaged and, further, develop loyalty to your brand. But that is not always the case. Most of the time, it is easier said than done. The truth is that customers are extremely hard to be pleased. A successful subscription e-commerce not only requires the excellent vision on subscribers’ taste of different kinds but also the ability to boldly make a right judgement call that ultimately would win the customers’ favor. It is a lot like gambling— every move matters. You will be one of the remaining winners as long as placing your bets on the right side, otherwise an overnight failure is a matter of common occurrence. That is a true story for too many startups that was ready to scale but was forced to shut down then. All in all, moving from one-off transactions to a subscription model means you move from a selling relationship to a service relationship. Since you and your customers are much closer than ever, traditional ways of customer relationship management may not work well here. Your customers will have a greater expectation on what you will be delivering to and you are no longer just a product seller but a well trusted and professional supplier. You are more like a friend who understands their demands and unfulfilled needs. Making them feel satisfied and happy when receiving the product is always your first priority. After all, a successful subscription e-commerce is built on a long-term relationship with customers. But, what makes you jump into could also be the poison that paralyzes the entire business.